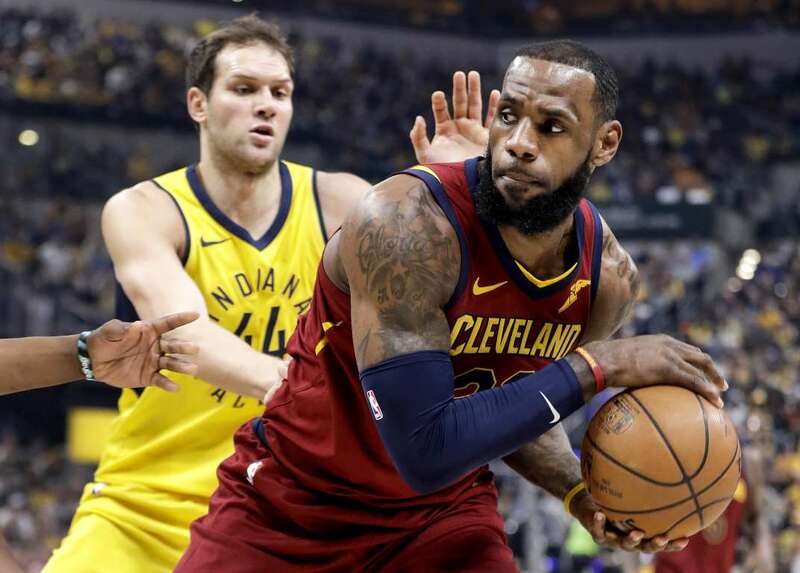 The Cavaliers' LeBron James looks to pass as the Pacers' Bojan Bogdanovic defends on Sunday in Indianapolis. The Cavaliers won Game 4 of the first-round series 104-100. Photos - U.S. Daily News: Hands off!